In his State of the State speech this past week newly minted Democratic Gov. Steve Sisolak promised to spend more money without any new taxes. He emphasized this by repeating, “Let me say that again. One definition of tax is: a burdensome charge, obligation, duty or demand. Sisolak’s proposed budget is packed with those. income rather than being self-supporting. Sisolak did not say how high he wants the minimum wage raised, but on the campaign trail he had mentioned $10 an hour but did not seem averse to the more commonly mentioned $15 an hour. average low-wage worker in Seattle lost $125 a month because the minimum wage was raised to $15 an hour. In another blow to the bottom line, Sisolak proposed resurrecting a 2017 bill that would have reimposed the requirement that all construction workers on public projects be paid what is called a prevailing wage. In 2015 lawmakers exempted school construction. the area where the work is being done. The wage rate is set by the state Labor Commissioner based on a survey of contractors. The survey is so time consuming that in reality only union shops bother to comply, meaning the prevailing wage is the highest union wage. It is estimated this law requires the state, cities, counties, school districts and other government entities to pay 45 percent higher wages for public construction projects than necessary — a cost to taxpayers of $1 billion a year. Additionally, Sisolak proposes to give 3 percent salary hikes to all state workers and teachers, plus 2 percent merit raises each year for teachers. In the past 99.75 percent of state teachers have been rated highly effective or effective. Those raises will also require higher contributions for pensions. The school funding formula is weighted to take into account the transportation costs in each county, as well as the relative wealth in each county. Thus, poorer rural counties get more money per pupil. Any formula adjustments doubtlessly would mean taking money from rural counties and giving it to Clark County. As for no “new taxes,” Sisolak is calling for reversing the scheduled reduction of two current taxes — the payroll tax and a vehicle registration tax. He further calls for increasing the percent of renewable power generation in Nevada to 50 percent by 2030. Study after study has found such market manipulation increases power rates and cost jobs, while not decreasing greenhouse gas emissions and creating eyesores on rural lands. All of these are likely to be warmly embraced by the Democratic majorities in the state Senate and Assembly. 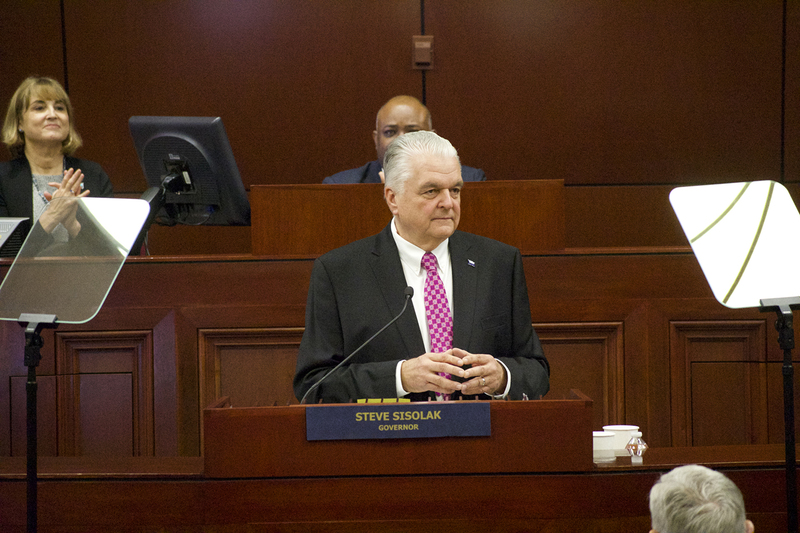 Sisolak’s total state budget, not the general fund, for the next two years is nearly a 12 percent increase over the past two years, though inflation has been less than 2.5 percent. Is there anyone out there who might deign to suggest letting the taxpayers keep a little of their money?